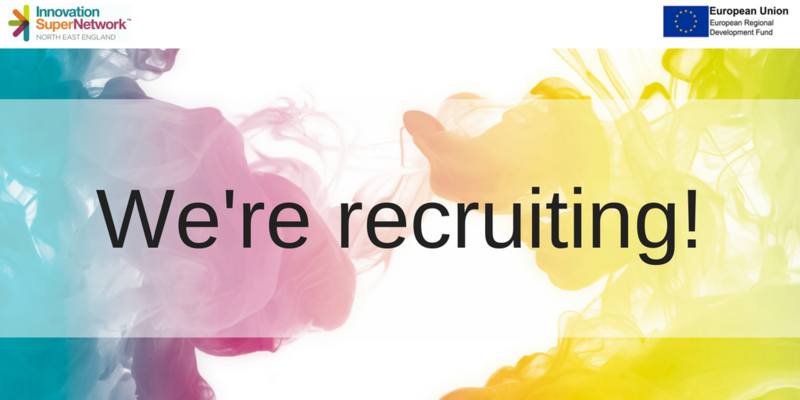 We’re recruiting for an Innovation Manager! The Innovation SuperNetwork is a unique regional programme, helping to cultivate a stronger innovation eco-system in the North East of England and support innovative businesses. The programme works through a partnership of over 60 organisations, including the North East LEP, Innovate UK, North East BIC, Northumbrian Water, ENGIE, local universities, innovation support organisations and private businesses. The SuperNetwork is part-funded through the European Regional Development Fund (ERDF). An open innovation programme, connecting regional businesses with innovation challenges posed by larger businesses and the public sector. The primary way we deliver innovation support is through Innovation Managers. These are highly experienced individuals with an in-depth understanding of innovation in practice. Most have a technical background (science, technology, engineering) combined with commercial experience. All are driven by a desire to see the region thrive through applied innovation. In order to grow and support our large network, we are now looking for a new Innovation Manager to join the team. Based in Sunderland and working across the North East, the role is high-profile, externally-focussed and with the potential to have a huge impact on our region. The ideal person must have a strong understanding of innovation practice from first-hand experience. They must be able to spot opportunities for projects and be able to function effectively in a fast-moving, multi-stakeholder environment. Strong communication skills are essential and some experience of sales or account management would be useful in working with partner organisations. If this opportunity is for you, the first step is to forward your CV to estelle@supernetwork.org.uk by 26th April 2019.